Participant : Undergraduate students in Ulsan, Busan, and Kyungnam region. 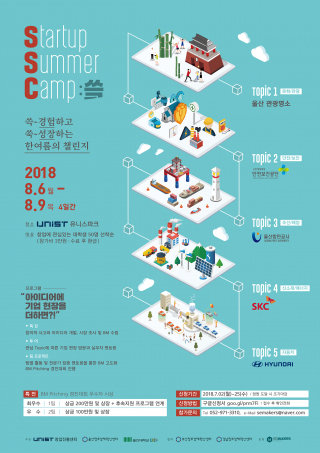 UNIST Business Incubation Center is holding “Startup Summer Camp” at UNISPARK from August 6 to 9, 2018. This will be a great opportunity for those who wish to start their own business.